Just 24 months ago, the name "The Boxcars" meant nothing. Two years later the name is synonymous with the five guys that make up this ground breaking bluegrass music band. They don't sound like anyone else. And yet they capture the excitement of the seminal bands that preceded them in the genre and combine it with cutting edge sounds of bluegrass today. The result is, well, magical. You can't replace chemistry between band members. And these guys have it. The Boxcar's will bring that magical chemistry to the American Legion Post 238 in Hughesville, MD on Sunday, January 29, 2012 at 2:00 p.m. for their American Legion Bluegrass program. 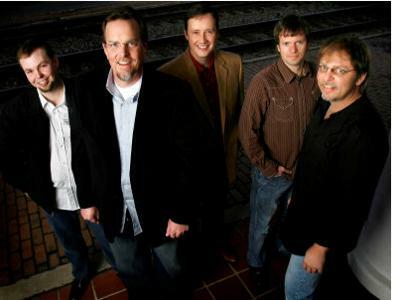 The Boxcars: Adam Steffey, Ron Stewart, John R. Bowman, Keith Garrett and Harold Nixon make up what is surely becoming one of the top headliners in bluegrass and beyond. With collective stints with Alison Krauss & Union Station, J.D. Crowe & the New South, Blue Moon Rising, The Isaacs and most recently The Dan Tyminski Band, this quintet starts out with an impressive rap sheet. At this year's 2011 IBMA (International Bluegrass Music Awards), The Boxcars received 4 awards, two as a band: Emerging Artist of the Year and Instrumental Group of the Year and 2 individuals: Ron Stewart received Banjo Player of the Year (which is shared with Kristin Scott Benson due to a tie) and Adam Steffey received Mandolin Player of the Year. Expect The Boxcars to branch out into their own unique style of contemporary bluegrass laced with Steffey's signature rhythm that can be traced back to the early days of Union Station. Award winning Stewart will deliver rock solid banjo work, but will also lay down the banjo for the fiddle on some tunes. It's always a rarity to have multiple strong vocalists in the same group, and The Boxcars will benefit from strong vocal performances from Garrett, Bowman and Steffey's signature baritone. Opening the show will be a new re-organized band from Southern Maryland, "The Recycled Bluegrass Band". The show will be held at the American Legion Post 238 in Hughesville, Maryland on the corner of Rt. 381 & Rt. 231 and will begin at 2:00 pm, doors opening at Noon. Tickets are "ONLY" $15.00 per person. This will be a great and entertaining Bluegrass show for an unbelievable price. Food will be available for sale before the show. For more information, tickets, and directions, go to www.AmericanLegionBluegrass.com or call (301) 737-3004. Also non-perishable food donations are accepted for the Helping Hands Food Bank in Southern Maryland. Other upcoming shows at the Legion include: 2011 IBMA Male Vocalist of the Year, Russell Moore and the IIIrd Tyme Out Sunday February 12; and back again, Larry Sparks Sunday March 11. Sound will be provided by the one and only, Troy Jones.